If like us you have a love and passion for wildlife in the UK, a legacy gift could help conserve our vulnerable British wildlife for future generations, even after you’ve gone. In the South West, every year thousands of wild animals – including species at risk such as otter, hedgehog, hare and many of our best known birds – are orphaned or injured. Secret World treat and care for these animals to give them the best chance of being released and surviving back in their natural habitat. It is impossible to put a value on the pleasure we get from watching wildlife, even a brief glimpse or sounds we hear at night-time bring delight. However, that enjoyment and appreciation for our British wildlife is being put at risk as human activity – development, traffic, pollution – impinges on wildlife and their habitats. Animals give so much joy to us throughout our lives. Leaving a legacy to Secret World is the perfect way to give something back to them and help conserve British wildlife for future generations to enjoy. When orphaned or injured animals are brought to Secret World, we do all we can to get them back to health and care for them until they are fit enough to return to the wild. Legacies and gifts are hugely important to the work we do treating and rehabilitating wild animals, with over half our work being funded by our supporters in this way. Without these people who have left us a gift in their Will, we could not continue to care for the more than 5,000 animals brought to us every year. A bequest to Secret World – no matter how large or small – could help in many ways: education, conservation, the environment and wildlife preservation. 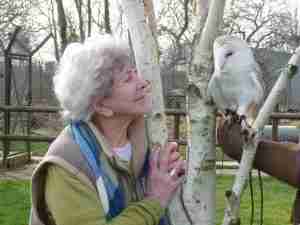 To discuss how you can leave a legacy or gift in your Will to Secret World Wildlife Rescue, contact us.